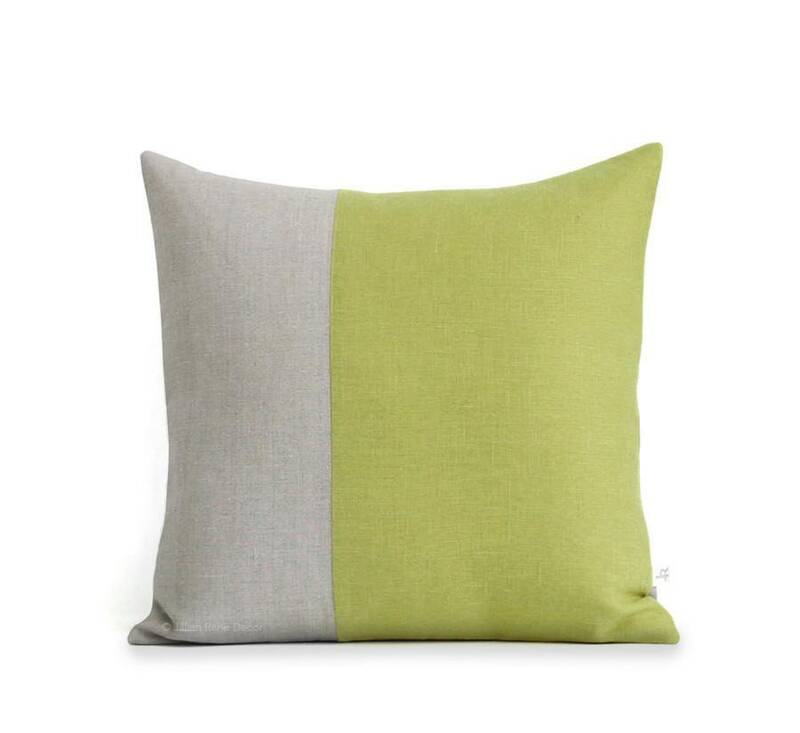 NEW :: Two tone color block pillow in linden and natural linen. This beautiful pillow will make the perfect accent on a chair, sofa, window seat or bed. 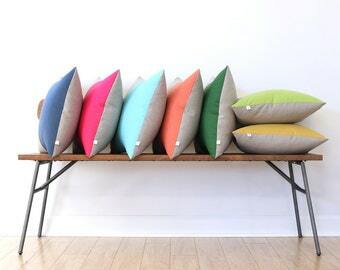 Perfect as a house warming gift too! 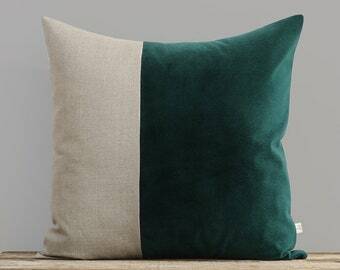 - Front: linden and natural linen color block panels.